1）Basic and Clinical Science Course 1999-2000,Section 8 External Disease and Cornea. American Academy of Ophthalmology pp61-68. 2）.Lopin Eli,Deveney T,Asbell PA. Impression Cytology Recent Advances and Applications in Dry Eye Disease The Ocular Surface, 2009， 7： 93-110. 3）Egbert PR, Lauber S, Maurice DM. A simple conjunctival biopsy. Am J Ophthalmol 1977;84:798–801. 4）Tseng SCG. Staging of conjunctival squamous metaplasia by impression cytology. Ophthalmology 1985;92:728–733. 5）Maskin SL, Bodé DD. Electron microscopy of impression-acquired conjunctival epithelial cells. Ophthalmology 1986;93:1518–1523. 6）SinghR, Joseph A, Umapathy T,et al.. Impression cytology of the ocular surface Br J Ophthalmol 2005;89:1655-1659. 7）Krenzer KL, Freddo TF. Cytokeratin expression in normal human bulbar conjunctiva obtained by impression cytology. Invest Ophthalmol Vis Sci 1997;38:142–152. 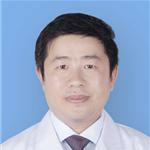 8）Thiel MA, Bossart W, Bernauer W. Improved impression cytology techniques for the immunopathological diagnosis of superficial viral infections. Br J Ophthalmol 1997;81:984–988. 9）Kessing SV. Mucous gland system of the conjunctiva. A quantitative normal anatomical study. Acta Ophthalmol (Copenh) 1968; Suppl 95:1-133. 10）Adams AD. The morphology of human conjunctival mucus. Arch Ophthalmol 1979;97:730–734. 11）Wittpenn JR, Tseng SC, Sommer A. Detection of early xerophthalmia by impression cytology. Arch Ophthalmol 1996;104:237–239. 12）Nelson JD. Ocular surface impression using a cellulose acetate filter material. Arch Ophthalmol 1982;27:67–69. 13）Dogru M,Yildiz M, Baykara M, et al.Corneal sensitivity and ocular surface changes following preserved amniotic membrane transplantaion for nonhealing corneal ulcers.Eye 2003,17:139-148. 14）Marner K. Snake-like appearance of nuclear chromatin in conjunctival epithelial cells from patients with keratoconjunctivitis sicca. Acta Ophthalmol (Copenh) 1980;58:849–853. 15）Haller-Schober E-M, Schwantzer G, Berghold A,et al.Evaluating an impression cytology grading system (IC score) in patients with dry eye syndrome.Eye 2006, 20:927–933. 16）Wen AE., Basti S.. Hu DJ et al.Impression Cytology for Clinical Management of Ocular Surface Tumors Using the Biopore Membrane Invest Ophthalmol Vis Sci 2003;44: E-Abstract 2443-B282. 17）McKelvie PA, Daniell M. Impression cytology following mitomycin C therapy for ocular surface neoplasia. Br J Ophthalmol 2000;85:1115–1119. 18）Baudouin C，Labbé A，Liang H，et al. Preservatives in eyedrops: The good, the bad and the ugly. Progress in Retinal and Eye Res 2010,29(4):312-334. 19）Dutot M, Liang H, Pauloin Tet al. Effects of toxic cellular stresses and divalent cations on the human P2X7 cell death receptor.Molecular Vision 2008; 14:889-897. 20）Dogru M, Karakaya H，Özçetin H，et al.Tear function and ocular surface changes in keratoconus. Ophthalmology 2003,110(6):1110-1118. 21）Wang Y,OgawaY, Dogru M,et al. Ocular surface and tear functions after topical cyclosporine treatment in dry eye patients with chronic graft-versus-host disease. Bone Marrow Transplantation 2008,41, 293–302. 22）Barros J de N, BARROS, Jeison de Nadai et al. Impression cytology features of conjunctival nevi reported as more noticeable. Arq. Bras. Oftalmol.2009, 72(2):205-210.